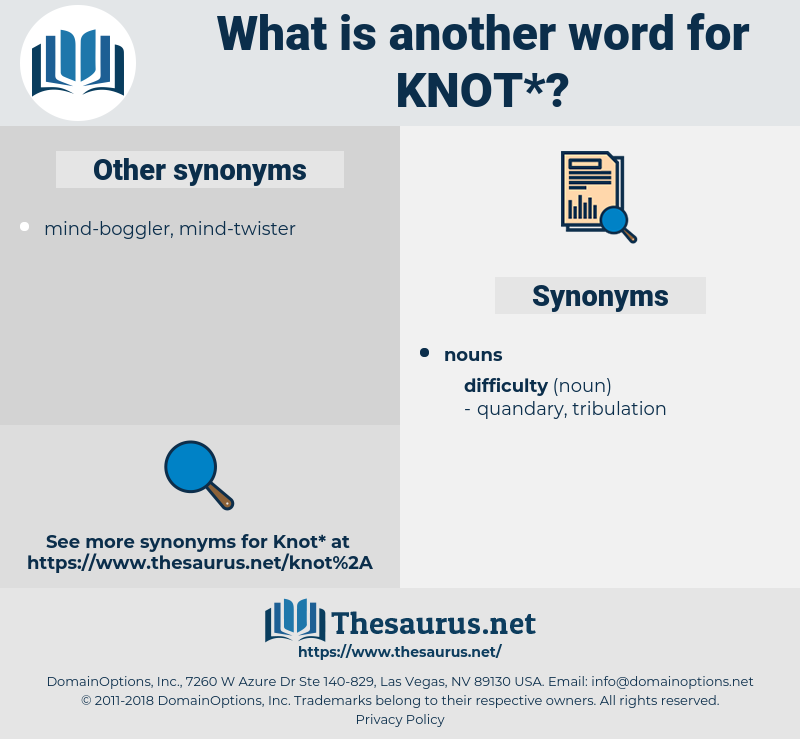 What is another word for knot? One Gipsy youth was fishing in the stream from the bank, and beyond him a knot of busy basketmakers were visible.
" It is a peculiar knot," he agreed. 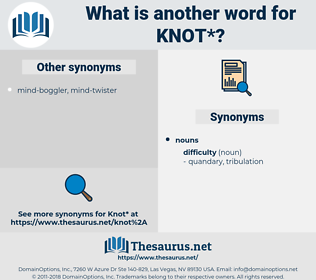 hitch, overhand knot, Gordian Knot, surgeon's knot, half hitch, barrel knot, lover's knot, clove hitch, lovers' knot, loop knot, figure of eight, bow, hawser bend, fisherman's bend, sailor's breastplate, square knot, truelove knot, true lovers' knot, bowknot, Turk's head, sheepshank, love knot, figure eight, Carrick Bend, Prolonge Knot, fisherman's knot, stopper knot, blood knot, true lover's knot, slipknot. create from raw stuff, create from raw material.